It’s Day 2 of ETA’s pre-convention activities at the 2016 Democratic National Convention (DNC), and there is an undeniable aura of excitement. At ETA, we have our own version of Pamplona’s running the bulls (except, of course, we’re running these large lumbering giants). 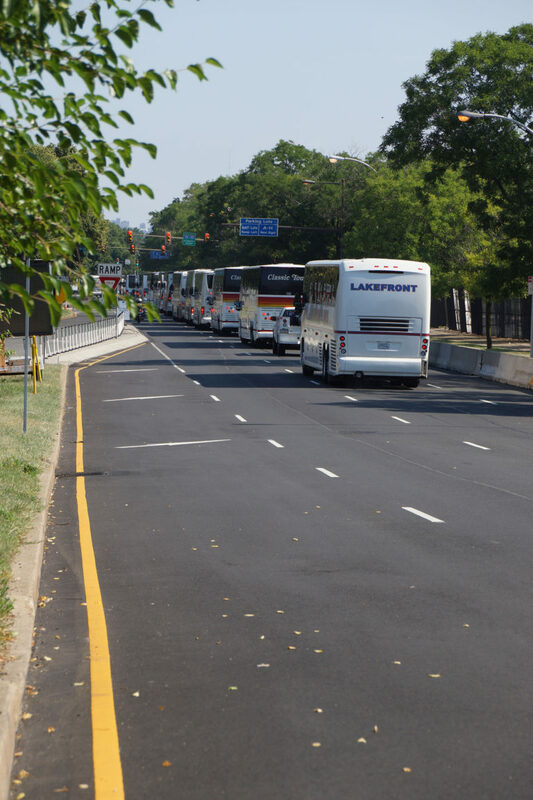 We call our version “running the routes” because we gather all buses and their drivers, line’em up and let’em loose. Each driver ran his or her assigned routes several times, following route books that ETA created, and familiarized themselves with each assigned stop. 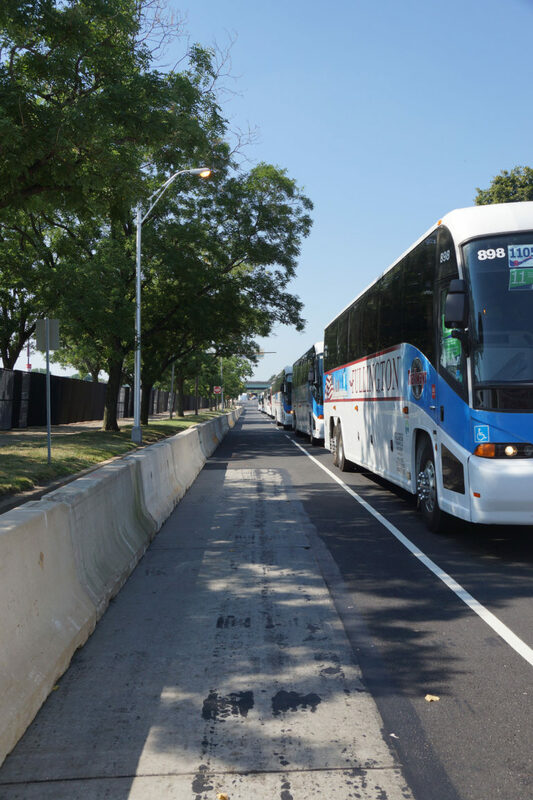 Additionally, drivers are timing their routes, so they are aware of their schedule and actual running time. 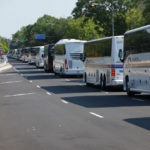 In event transportation, testing processes and giving staff time to go through their duties certainly mitigates many issues that can happen later during the event itself. 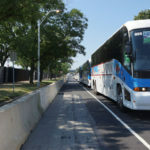 Running the routes is that dry test run that allows drivers to ask questions, thoroughly learn their routes, and understand emergency procedures. ETA allowed most of the day for drivers to run their routes, ending with a final session where Q and A ruled. But running the routes would not be successful without another key component, which is communicating with guests. This communication is accomplished through a number of channels, such as maps, signage, and GPS technology. The DNC has distributed maps to every delegate, and ETA has done a fantastic job of placing route signage at all convention sites. One of the most important areas for this signage is the south end of the Wells Fargo Center, which is where delegates will exit each night at the close of convention proceedings. 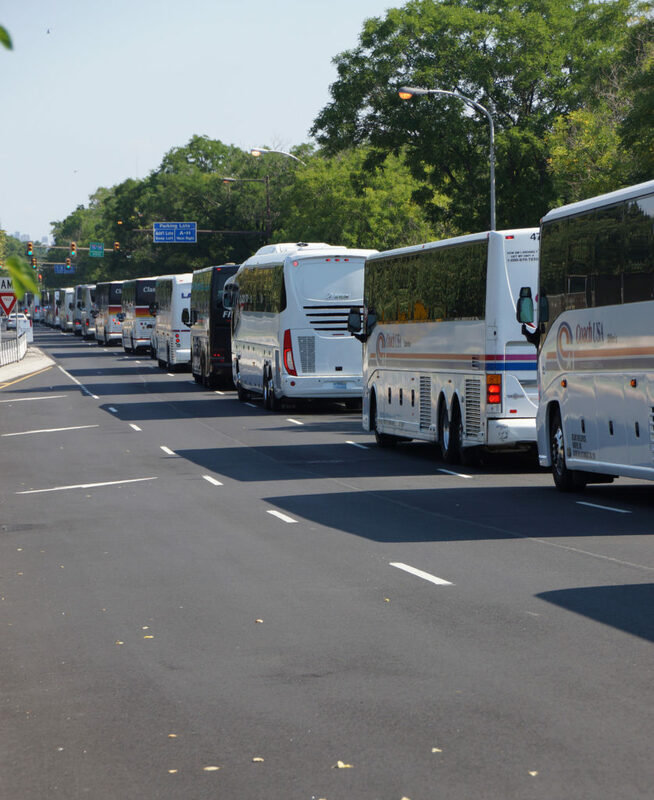 That bus staging area is huge! (So it would be easy to turn in the wrong direction.) Click here to get an idea of this expansive area and to see some of ETA’s signage. As pre-convention activities come to a close, we’re all anxious to see those wheels begin to roll. 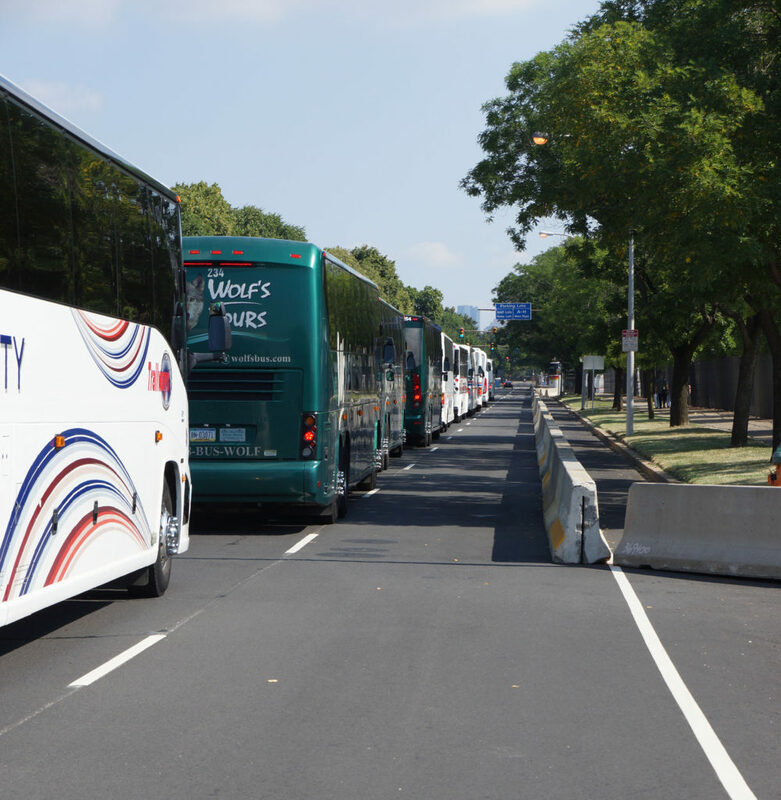 See photos below that show some buses in the ETA transit system running the routes. 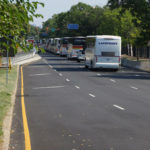 It’s not every day you see hundreds of buses lining a public street! Here’s another view of ETA’s transit system running the routes. Lined up and letting loose! These lumbering giants will carry about 12,000 guests. ETA’s transit system depends on many bus agencies and transit partners to keep the wheels rolling.